Organizations that pursue DevOps application deployment automation and release management achieve significant payoff on their investment. These payoffs take two forms: operational payoffs, and economic outcome payoffs.2 Both of these types of payoffs are critical to the viability of the growing DevOps movement. As discussed in my first blog entry in this series, without a clear economic return to managers and organization leaders, the white-hot DevOps movement will cool and interest will wane. Continuing to add momentum and heat to the movement is an organization’s purpose of pursuing DevOps: delivering software based innovation and efficiency gains which is an organizational imperative worth pursuing, as discussed in my second blog post in this series. That post described the results of an IBM study of 400 C-suite and other executives. It highlighted a significant execution gap between the need to deliver software based innovation and the ability to do so. Advanced organizations that use DevOps techniques such as continuous delivery, Agile, and LEAN approaches to deliver software outperform their peers: almost 70 percent of the companies currently leveraging software development for competitive advantage outperform their peers from a profitability standpoint. Those leading organizations clearly illustrate that the purpose of adopting DevOps is worth the pursuit. This blog post we will focus on the two types of payoffs most commonly sought after by organization leaders: operational payoffs, and economic outcome payoffs. Operational payoffs include benefits such as increased delivery speed; increased delivery accuracy (e.g., moving/changing the right app components and config changes to the right target servers); reduced error rates or mean-time-to-failure; or increased productivity or throughput of software delivery. Unlike economic payoffs or business outcomes, operational payoffs are denominated in something other than currency. Hopefully an example will clarify the difference. Cars.com, an information portal for online car shoppers, relies heavily on software based innovation and efficiency to deliver its product to customers. Through improved automation, cars.com significantly decreased its time to deploy product releases by 77 percent. And it also increased frequency: averaging 300 new product releases a year versus the 30 to 40 it deployed in the past (more detail here). The outcomes that cars.com experienced are examples of operational payoffs. Presumably cars.com decreased deployment time and increased release frequency to improve an economic or business outcome payoff. Hypothetically, perhaps by decreasing deployment time and increasing release frequency, that increased the number of cars for sale that can be searched or linked on their site, or the number of special promotional campaigns it can run, which may have resulted in increased sales volume and revenue dollars (“monetized” per the lingo). However, that only remains a presumption and hypothetical economic payoff until explicitly quantified. An operational payoff may or may not lead to an economic payoff. Obviously a business outcome is stronger when it yields operational and economic payoffs that are high priority for an organization and aligned with its business goals and strategy. Hopefully the definition and difference between operational and economic payoffs is clear. If not, please comment! Through ten+ client case studies, let’s explore the types and amounts of operational or economic payoff that adopters of DevOps release management or deployment automation are realizing. Note: To guard their anonymity and competitiveness, some adopting firms chose not to disclose their names. We continually explore with clients creative ways to protect their competitiveness while choosing to disclose their name. To monitor our progress on that, you can return to our case study site, TechValidate case study pages, and the IBM UrbanCode blog. * Fidelity Worldwide Investment was developing a new trading platform that would be the lifeblood of the organization. While Agile development was delivering rapid releases with high quality, manual deployment across hundreds of servers caused changes to queue up and backlog the operations team. This brought development to a halt, putting the firm in jeopardy; an issue that rose to Board of Directors level. Numerous solutions were evaluated, and the manual deployments were replaced with IBM UrbanCode Deploy. Operational payoffs included reduced deployment times from three days to two hours, and an approved compliance and audit posture. The organization saved more than $2 million in the first year alone over manual deployments (the most quantified economic payoff of the seven cases). A brief description is here, and a deeper case study document is available from that page via the Read the full story button. * Amica, a mutual insurer of auto, home and life insurance, was changing core/fundamental IT architecture while in the middle of major strategic initiatives, which was proving very, very difficult. Here is a short summary of an article and interview with Information Systems Officer Greg Calderiso. Amica wanted to improve the effectiveness of the application development process by creating a new application configuration management practice and section, and incorporate DevOps best practices into its software development lifecycle. After 3 months of assessing gaps and RFPs for software tools, and 3 months of implementation, they saw significant operational payoffs. Amica decreased non-code related build failures from 20% to less than 1% for a key project, reduced deployment of new web services from several days to 2 hours, and improved developer software setup from 1.5 days to 25 minutes. * Hiscox Insurance have underwritten various risks for over 100 years, and now have 1,400 staff in 11 countries. Their DevOps journey started as an effort to increase application delivery speed and frequency. Along the way, it’s become an initiative to transform and reboot IT. The initial operational payoffs to automating application deployment have been worth the broadening pursuit, and bolster the view of potential long term success of the transformation. They’ve recently released 47 changes to 1 application in 1 week, having reduced 17.5 man days of effort to 10 minutes. This change velocity was unimaginable previously. Additional payoffs to the org have also been realized — read more about their journey and success story on Ranger4’s blog here. * Pearson VUE are in the Education, Publishing and Finance industries. In Education, they deliver a test to every 6 seconds around the world, so their error rate must be extraordinarily low; in the 1 per billion range. As you can see in this short video, Guy Speier and his team needed to deliver code faster — a continuous stream of application and database changes via automation. In two months they had gotten executive buy-in, agreement from audit and compliance, and full support from app dev and IT ops that the IBM UrbanCode automation solution worked well, and they were deploying repeatedly into production. The infrastructure team couldn’t have been happier. Overall, they’re operational payoff was the change from a complex and heavyweight manual deployment process, into one that is lightweight, fast, and automated. As you can read more about in this case study, in their own words: “With UrbanCode Deploy software, Pearson VUE can release higher quality software faster and more frequently. We’re saving a remarkable number of hours of work, but at the same time we’re deploying much more frequently. So we’re actually doing more with less.” Wouldn’t we all like to to do that? * IBM Global Technology Services has to cost effectively deliver a lot of software to satisfy clients. One team of 400 engineers for example does so with IT applications and tools for security compliance, analytics, autonomics, and systems & service management. This team supports 40 programs in 25 countries worldwide. As Scott points out in his video, there were a lot of challenges in application delivery: no standard tool set or process, lack of practitioner collaboration and visibility, and low delivery velocity & frequency despite client business demands to deliver more, faster. The operational paybacks to automating app deploy and other DevOps processes were significant: new engineer on-boarding time went from 1 week down to 1 day; and 16 hour app deployments went down to 30 minutes, a 32x improvement. It included a morale boost to boot, as the team feels deployment speed is more like “working in a start up than at a large company”. The payback from watching this video is worth the 4 minutes you’ll invest. * Several additional organizations in IBM are reaping significant payoffs from their DevOps journey generally, and App Release and Deploy specifically. 5-10x operational payoffs are common. Read their success stories as described by IBM General Manager Kristof Kloeckner here. * An enterprise professional services firm had error-prone manual deployment tasks that slowed application deployment to development and test environments. After implementing IBM’s DevOps Release and Deploy proven practices and UrbanCode software, deployments are 90 to 100% faster. The client reported “We can now deploy multiple times a day and in less than 30 minutes whereas before a deployment would take many hours.” Those valuable operational payoffs were accompanied by an economic payoff: their investment was paid back in 1-3 months. * An enterprise computer services firm was plagued by the risk of application instability due to managing multiple configurations and versions, a lack of visibility across the enterprise, disconnects and confusion among staff, and a lack of a centralized application deployment process. As the firm reported after implementing, “UrbanCode tools have helped our organization standardize deployment processes to reduce errors, and cost; and increase efficiency and increase the number of releases.” Additional operational payoff included deployments that are 30-50% faster. And the client also realized an economic payoff and the value of their investment in 3-6 months. * Struggling with error-prone manual tasks and redundant processes, a lack of control over their deployment process adding security risk, and too many mistakes and rework, an energy and utilities company implemented a DevOps deployment automation solution using IBM UrbanCode. The resulting operational and economic payoffs were 50-75% faster deployments, and investment realized in 3-6 months. 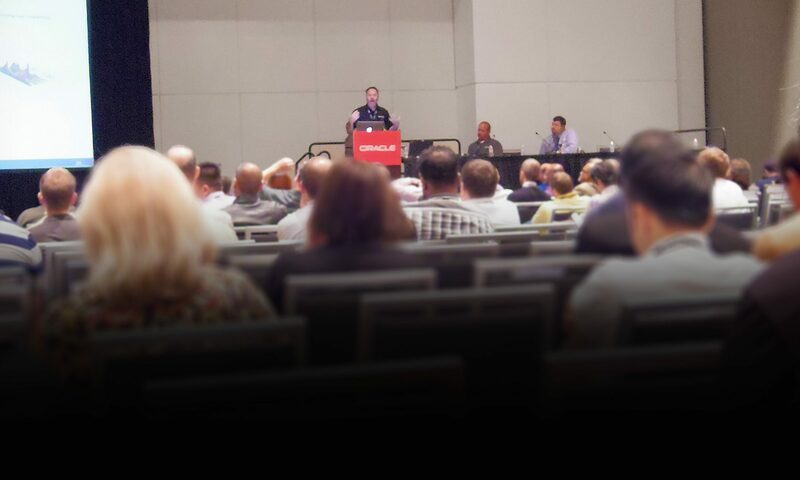 They summarized their experience, saying “UrbanCode tools have helped us by providing better control over our deployments, avoiding manual configuration changes and ability to centralize deployments. We have also used the tool to help with agile delivery mechanisms. * A not-for-profit organization was disturbed that planning and coordinating application releases across team members using spreadsheets was consuming too much time and very error prone, as was meeting multiple times to review and change plans for a release. Cutting down on review time and achieving better visibility to release activities across the organization were key goals. Implementing the IBM UrbanCode Release solution, designed specifically for complex application releases, reduced the number and length of release meetings — each by 50%. By the end of the third release using the new solution, the team leader responsible felt so comfortable that he went on vacation during the release. Now those are some operational payoffs we can all understand. To learn more about Application Release and Deploy and additional kinds of payoffs, I recommend the Application Release and Deployment for Dummies ebook for a good overview. After working with hundreds of clients, the ABCs and proven practices are quite clear. Follow those links to find additional information and guidance on your journey to payoffs from release management and deployment automation. The purpose and payoff to pursuing DevOps application release and deploy should now be clear. If not, why not? Please comment on this post and let’s discuss it… Before achieving these kinds of payoffs, most leaders have to make a case for investing in the changes required in their organization. That’s what we’ll explore next: making an ROI case. Then we’ll cover the nature and approaches to investing in application release and deployment. That will round out the motivation and outcome picture: purpose, payoff and ROI of the pursuit. Then we’ll explore some of the topics introduced at the end of the first blog entry in this series. Caveat: what comes next is all subject to your input and our interaction, of course. 1Edited 3 July 2014 to name Fidelity Worldwide Investment as one of the client case studies, and link it to a 6 page deeper dive case study report. Edited 18 July 2014 to add the Amica case study, number 7. Edited 18 Sept 2014 to add the Copyright Clearance Center case study, number 8, and link to the next blog enty in the series. Edited 6 November 2014 to add IBM Global Technology Services case study, number 9, and updated the link to the Amica Insurance article. Edited 2 December 2014 to add case study number 10, Hiscox Insurance, and link to additional IBM success stories (case studies 10+). Edited 12 March 2015 to push/pull Pearson VUE with CCC. 2Though conceptually simple, this is a deep subject. For more background and detail, check out my colleague Murray Cantor’s blog (e.g. this entry, and this one) and papers that discuss measurement frameworks and risk adjusted monetized returns on software projects and programs in various development domains. And Murray discusses related business analytics principles as well as emerging practices and tools.